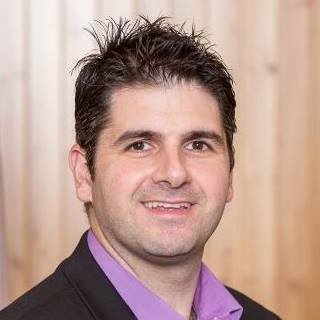 Florio Vassilakakis is serving his third term on Castlegar City Council. Every year, during budget deliberations, council endeavours to strike a balance between taking care of the necessities like core infrastructure while also funding capital projects that invest in and resonate with people. Building a community is more than just pipes, roads and sidewalks. We must have a vision for our City that includes striving to make life more enjoyable for our citizens. Economic growth and our ability to attract and retain residents and business depends on the latter. This budget, to a certain extent, misses the opportunity to support the big picture ideas for our future by almost exclusively increasing taxes for things people don’t really see and, might I suggest, aren’t really inspired by. Our taxpayers are in fact willing to pay for things that make life better. They proved that in the recent recreation referendum. Some of our council should not forget that we can and should do both, as we have done in the past. These proposed tax increases, however, will handcuff us from taking advantage of strategic and new opportunities that arise each and every year for fear of subjecting our taxpayers to yet further increases. Others on council, including our mayor, have tried to sell the idea that our infrastructure is in such a perilous position that spreading this funding plan over a longer term poses risk. The fact remains, however, that the world beneath our feet is not crumbling nor will it be detrimental if we commit to a longer-term view of funding our asset management. I believe this proposed plan takes it too far, too fast and we need to respect the fact that our businesses and residents can only bear so much. A 37-per-cent increase to residents and 34-per-cent increase to business over five years is an unrealistic approach. There are ways to reduce these rates. We can borrow for larger capital projects where the costs are spread to those who benefit today and years from now. We can also push out projects and make cuts that do not have a negative effect to the services we provide. However, so far, council has reiterated twice their desire to adopt this five-year plan. It is something I have opposed each and every time. The budget is not yet finalized and I would love to hear your feedback. We need our citizens to participate in this process. We were elected to make difficult decisions and this is no exception. I have never shied away from what I believe is the right path. Let me know if I am on it. After all, I work for you. Please contact me at fvassilakakis@castlegar.ca or call me at 250-809-0108.